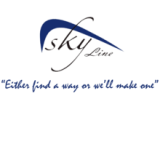 Sky Line Maritime was incorporated in 2007 as a transition and a diversifying of Empire logistics (Pvt.) Limited (Established in 2003) under the stewardship of the founder and the foremost brick Mr. Sujith Senadeera who has been strengthening the entity continuously throughout its journey to the latest height. Consequently, company re-branded the promoting trade name to Skyline Maritime in 2007 as a process of diversifying our services been a freight forwarding company to a high end freight service provider with customized solutions as total logistic provider.